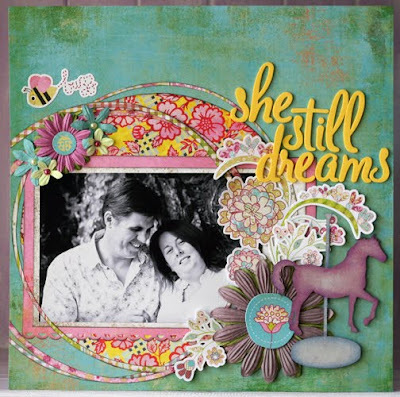 Being a mum to boys I found this piece a little different LOL, BUT I got thinking and wanted to turn it into a dreamy sort of layout, so "She still Dreams' came about. 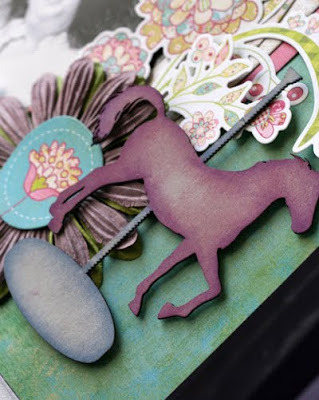 I picked colours from the papers to colour the Carousel Horse, it got a coat of white ink from a ink pad then I worked with different tones in purple to achieve the end result. Thanks for stopping by, if you have a 2 Crafty project you would like us to share then why not leave us a comment in the comment section and we will be more then happy to feature your work up on the blog.